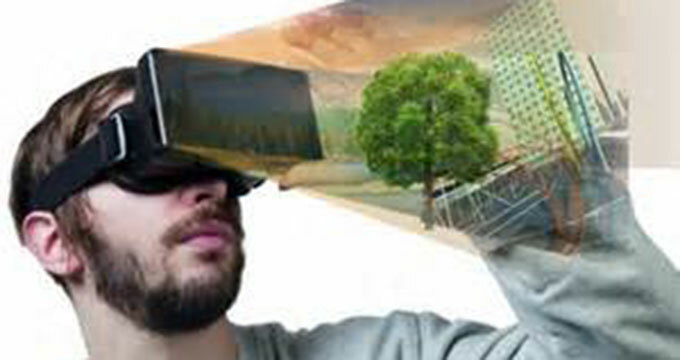 Virtual Reality (VR) has aimed at providing just that to for the whole of its 20-year existence. From helping form better posture in those with Multiple Sclerosis (Gutiéerrez, et al, 2013) to helping those with autism develop better job interview skills (Smith, et al, 2015), VR has been training minds to conceptualize how different their real life can be. Most commonly, VR has been found in clinical test-trials, structured by researchers and clinicians for explicit purposes. Occasionally, a high-end arcade may provide the novelty of having a VR simulator to pilot a fighter jet or explore a new world. Enter the Gear VR, Google’s latest front-runner in the race to meet consumer-market demand. Clocking-in at only $100, the Gear VR uses the latest version of Samsung’s Galaxy smartphones to create an immersive experience for the gamer, user, viewer, explorer. This past Friday in my living room, I donned such a technology (toy?) and was lead through a world of puzzles, flight, and vertigo-inducing experiences. I attempted to stay cognizant of the fact that I was in my house more than I was standing on the edge of a cliff looking down at waves crashing 200’ below. I did not always win this aspect of the game. The idea of an immersive experience is to lose oneself for the purpose of training or experiencing something seemingly impossible. This mind-over-matter science has worked successfully for stroke patients to rehabilitate movement lost motor function (Schuster-Am, et al, 2015), and proved in psychological testing to evoke specific frames of emotion and empathy (Schmierbach & Limperos, 2013). VR’s efficacy cannot be understated as it makes its way from structured lab environments to pleasantly-wrapped gift boxes under the tree this holiday season. Google warns in the Gear VR’s packaging of potential epileptic seizures (1:4000) and playing the gaming tech for only 30 minutes before taking a 15-minute break (Samsung, 2015). As 97% adolescents in America (Wittek, et al, 2015) and children spend an average of 2 hours of screen time per day (Common Sense Media, 2013), it is not likely that they will be accustomed to limiting their use. Hyun, et al write that the younger a child’s age, the more likely they are to develop addictive features related to video gaming (2015). Added to a child’s inability to self-regulate, the foundational psychology of magical thinking (a child’s inability of distinguishing fact from fiction) and Operant conditioning shows us that blending an adolescent’s reality with a first-person shooter, for instance, could be desensitizing or even training their brain for violence. Gutiéerrez, R. O., del Río, F. G., de la Cuerda, R. C., Alguacil-Diego, I. M., Diego, A., González, R. A., & Page, J. M. (2013). A telerehabilitation program by virtual reality-video games improves balance and postural control in multiple sclerosis patients. Neurorehabilitation, 33(4), 545-554. Samsung Gear VR. (2015) Handbook of health warnings and potential injury. Schuster-Amft, C., Henneke, A., Hartog-Keisker, B., Holper, L., Siekierka, E., Chevrier, E., & … Eng, K. (2015). Intensive virtual reality-based training for upper limb motor function in chronic stroke: A feasibility study using a single case experimental design and fMRI. Disability And Rehabilitation: Assistive Technology, 10(5), 385-392.